ALLPlayer is a popular multimedia player for watching movies with matching subtitles. 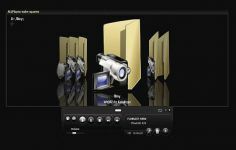 ALLPlayer is a universal multimedia player that allows to view the greater part of the audio and video market - MKV format files, DivX, Xvid, Flash, QuickTime, DVD, MP3, etc. The application will automatically detect the codecs needed to play videos and download them if they are not on the computer. This software also allows to adjust the speed of the subtitles. 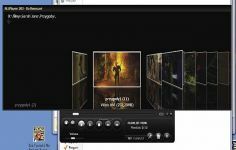 ALLPlayer offers the possibility to search for online videos and the codecs needed to play a specific format are also supported. It also gives the user the ability to play multiple tracks at the same time, create a playlist of his favorite artists, and many others.